Going back to school doesn't have to be so bad. Sure, you have to get back into the swing of classes, and you may need to make some major purchases. But, beyond deals on backpacks, a horde of back to school sales, Amazon Prime student discounts and Newegg deals for students, you can also get some great student discounts on MacBooks and Apple products directly from Apple to help you handle the extra expenses. So, if you're on the market for your next school computer and want it to be a Mac, MacBook, or iPad, we've got the details you need to save as much as 15% on the sticker price. You can also get a discount on accessories or even get freebies with your purchases from Apple. Apple is quite relaxed about eligibility for its student discount deals, so as long as you're a student at school, college or university you should be able to make quite a saving. What’s more, if you’re employed as staff at an educational institution, you, too, can take advantage of some stellar deals, albeit not of the same magnitude as your pupils of course. Instead, you’ll benefit from savings of around 6%, as opposed to the loftier 15% student discounts. Just to give you a taste of what you can expect, a MacBook that would normally retail for $1,299 can be found for $50 off (with a pair of Beats headphones or earphones to boot) so long as you’re a student. Likewise, our UK readers can get an £899 MacBook for £772.80. And for our audience residing in the land down under, a AU$1,999 MacBook can be had for AU$1,829. If you want to skip the process of getting Apple's student discount, we've found some deals on MacBooks from Amazon that can save you a quick buck in the US. You won't have to sign up for anything to nab these ones. Apple has now kicked off its back to school promo for students in the US, UK and Europe that gives students a free set of Beats wireless headphones when they purchase certain devices. If you are a university student (or a parent of one buying for them, or a teacher), you can pick from a choice of BeatsX, Beats Solo3, or Powerbeats3 headphones when you buy any new MacBook – the MacBook, MacBook Air, or MacBook Pro – or the iMac or Mac Pro. On the tablet front, the 10.5-inch and 12.9-inch iPad Pro models are also included in this deal. The back to school offer is running in the US, UK and a large number of other European countries, namely: Austria, Belgium, Czech Republic, Denmark, Finland, France, Germany, Hungary, Ireland, Italy, Netherlands, Norway, Poland, Portugal, Russia, Spain, Sweden, Switzerland, and Turkey. Students in the US should visit Apple's back to school website to take advantage of this deal. For UK students, there is a UK back to school website for them to get free wireless headphones. 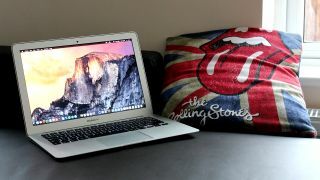 For UK students you can get a MacBook Air with a student discount for £854.40, down from £949. For Australians, the MacBook Air starts at AU$1,429. If you're looking for a MacBook Pro, the prices start at $1249/£1124.40/AU$1829. If you're after an iPad, the iPad Pro can be bought with a student discount, with prices starting at $629/£522/AU$949. Meanwhile, the iPad is available to students for $309/£321.60/AU$439. The UK Apple website doesn't show prices until you sign in with a Uniday account. Visit the instructions from the Apple Student website for more information. As an extra way to save some money, Apple is offering credit in the form of an Apple Store Gift Card if you trade in your existing Mac or tablet, and even devices from third-party brands. This credit can then be used to pay for a new device - which could save you a lot of money. You can trade in Mac, HP, Lenovo and other computers, and depending on the make, model and condition of your device, you could earn up to $1,000 in credit. US students can learn more at the Apple GiveBack website. UK students can also trade in their old Macs or other devices. Again, the price you get depends on the make, model, and condition of the device, but you could earn up to £695 by trading in your current computer. If you fancy knocking some cash off your next Mac purchase, you can vist the UK Apple GiveBack website to begin. Am I eligible for Apple's education pricing? As long as you're studying in a post-secondary education (or high school) establishment, such as college or university, and have a student ID or documentation to prove it, then you should be eligible for the education discounts. Parents of students can also apply for the discounts on their children's behalf. If you're a teacher, lecturer or other staff member at an educational institution you can apply for the discount by providing an ID card, payslip or other form of identification that proves you work there. To make the process as smooth as possible if you're a university student, sign up online at Unidays, which is a free website that offers a number of student-only deals. All you need is your university email address that you're given when you enroll. If you're eligible, go to the Apple For Education website, which highlights the current deals on offer for students and staff. Select the device you want (such as MacBooks, iMacs and iPads), then verify your current student or staff status with Unidays. You can do this by clicking 'Get started'. You can also visit a nearby Apple Store with your ID, or phone Apple on 0800 048 0408 in the UK, 800–692–7753 in the US or 133-622 in Australia. Assuming you're accepted you can then go ahead and order your devices. You can purchase items up to Apple's limits of one desktop per academic year, one Mac mini, one notebook, two iPads, two displays and two pieces of software with the discounts.